There is a lot packed into a novel which, at its basest level, is fairly straightforward and seems to work within some fairly standard fantasy tropes. Except, in the hands of Katherine Addison, there is so much more going on. Imagine for a moment that you are the son of an emperor, but the sort of son whose very existence is a disappointment to that emperor. You might also have to imagine what sort of person would be disappointed by the birth of his son, simply for being born and looking a certain way. You have been shunted off to a distant estate and lived under the care of an uncle who cared nothing for you. To this point, it sounds a bit like the introduction to Harry Potter or any number of novels. Your father dies, as does all of his other heirs in the line of succession. You are now emperor. You are eighteen years old. What The Goblin Emperor does so well is place a sheltered young man into a situation where he is completely over his head, and he doesn't know what he doesn't know. Addison does not shy away from showing where Maia makes mistakes out of ignorance, and that an eighteen year old is not automatically a perfect leader compared to someone who has experience and training. The entire course of the novel, though, is only over a handful of months. Addison shows the initial growth of Addison, and while he does surprisingly well due to instinct, empathy, his outsider status, and willingness to buck conventional wisdom, what we don't know is what Maia's long term prospects are. This is similar to the experience of Mara of the Acoma in Janny Wurts' Empire Trilogy, with an inexperienced young woman having to suddenly take power and figure out how to do a good job and / or simply stay alive and ensure her House's survival. This is the place that Maia finds himself in. Another way that this novel works is that the reader gets to experience the capital and the world through the eyes of a character who has been sheltered from that world for most of his life. Maia has been taught how to behave and how to carry himself, but he knows nothing of life at court. Everything is new to Maia and so he notices things that a character who lived her life at court would just gloss past. Since Maia notices so much, and needs a number of things explained to him, the reader gets more in a way that doesn't require an inexpertly handled chapter long dump of information. Actually, that would be the exact opposite of what Katherine Addison has done with The Goblin Emperor. Addison is masterful in her writing and construction of this setting and the interaction of the world and the characters and their various prejudices. The other cool thing is that you get the sense that every character is off doing his or her own thing, working their individual plots and lives and not just waiting for a chance to pop back up on the next page. That's important. It makes the world feel lived in. Another thing, which may not be "cool", but Maia is half goblin / half elf, but is now the ruling emperor of the elves. This is not a world free of prejudice, and while I never got the sense that elves and goblins have been at war for millennia, there are some nasty prejudices and racism that crops up. It is quiet, because Maia is the emperor after all, but it is there to be noticed and it is addressed. As I said, this is a lived in world. 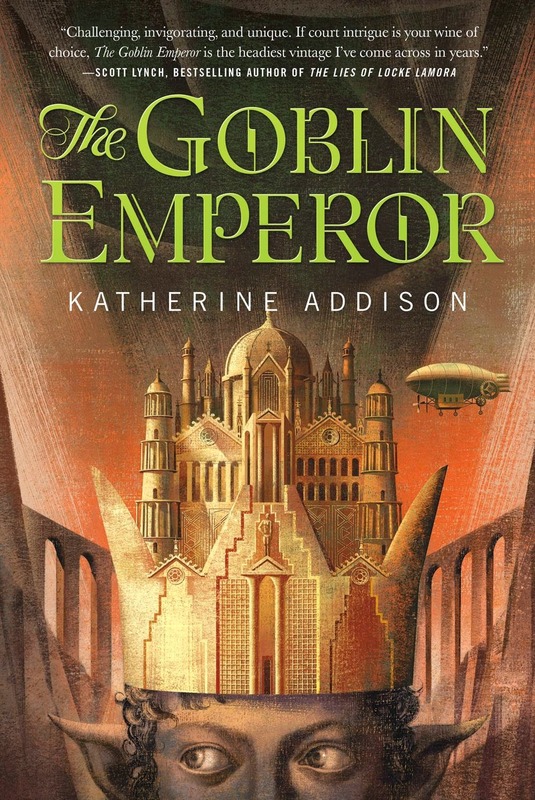 The only complaint that I have about The Goblin Emperor is simply that Addison has stated that it is intended to be a standalone book. While I think I would very much like a direct sequel to this book, The Goblin Emperor is a complete story on its own. Addison says "that story is finished", and it is. Wanting more is just a mark of how good this book is. The Goblin Emperor is top notch and, I feel confident saying this in June, it is one of the best novels published in 2014.